This ministry will encourage women to know that true and lasting hope is found only in God. The main goal of this ministry is to help women to surrender their lives to a loving God through faith in Jesus Christ. Also to encourage women to grow in their relationship with God by lovingly obeying Him and faithfully serving His Kingdom. This ministry will encourage women to know that true and lasting hope is found only in God. We believe in one God, eternally existing as Father, Son, and Holy Spirit. We believe that Jesus Christ is the Son of God, and that He was conceived of the Holy Spirit and born of the virgin Mary. We believe that the Holy Spirit convicts of sin, effects the New Birth, gives guidance in life, empowers for service, and enables perseverance in faith and holiness. We believe that the Bible is the divinely inspired Word of God, revealing God and His will, both in the Old and New Testaments. We believe that in the beginning God created all things. He made man in His own image, with a free will, a moral character, and a spiritual nature. We believe that man, through unbelief and disobedience, fell into sin bringing depravity and death upon the human race; that man as a sinner is unable to redeem himself. We believe that there is one Mediator between God and man, Christ Jesus, Who shed His blood and died on Calvary to redeem us from sin, was resurrected from the dead, ascended to heaven, and is sitting at the right hand of the Father interceding for us. We believe that salvation is by grace through faith in Christ - a free gift bestowed by God on all who believe in Christ, repent of their sins, are born again, and walk in newness of life. We believe that the church is the body of Jesus Christ and Jesus Christ is the Head of the Church. The Church entails all believers who walk in obedience to the Word of God. We believe that Christ commissioned the church to: evangelize the world, make disciples of all men and teach them to follow Him in a Biblical walk of life, and to minister to the needs of all people. We believe that those who repent and believe should be baptized with water as a symbol of: new birth, baptism of the Spirit, cleansing from sin, commitment to Christ, and separation from evil. We believe that marriage is intended by God to be the union of one man and one woman for life. We believe in the second coming of our Lord Jesus Christ, the blessed hope of believers, and that upon His return He will resurrect the righteous to eternal bliss in heaven. Your Hope Today is committed to helping women find true hope in a loving God. To encourage women to know the hope God has provided for them through a relationship with Jesus Christ. To equip women with devotions, free resources, and online tools that will help transform their lives and nurture their faith in God. 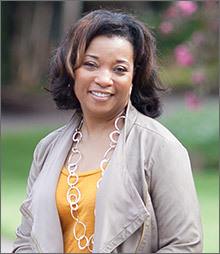 Janice Pender has worked with women and children as a director, teacher, and mentor for over eighteen years. She currently serves in her church as director of Women's Ministry. Janice has a special love for women and children. She desires that they know the immeasurable love God has for them and His redemptive saving power in their lives. Her favorite scripture is Jeremiah 29:11, "For I know the plans I have for you, declares the Lord. Plans to prosper you, not to harm you, plans to give you a hope and a future." Everyone has hope for eternal life and it is found only through Jesus Christ. This is the truth that motivates her walk with God and her service to others. Janice is married to Michael A. Pender - a delightful husband and devoted father for twenty-five years. He is the Founding Pastor of Fallbrook Church in Houston, Texas. They have four remarkable children � Bailee, Michael Jr., Arnelle, and Colin.